The Millennium Dome’s combustion connection is not only with the Fuel Research Station; it is built on the site of a large gas works where the pyrolysis of coal was economically viable. But inside the dome the exhibits do not seem to highlight combustion, intentionally at least. One of them does consist of200 tonnes of recycled cardboard, ‘capable of withstanding temperatures up to 400°C’ – but the dimensions of the test specimen were not stated. The information above partly quotes excerpts from an article in the Combustion Institute Newsletter of December 1999 by Ken Palmer in an article mainly about the Cavendish family. Properly speaking, purification commences in the hydraulic main where much of the tar and some of the water from the gas is deposited. As, however, the gas is still hot when it leaves the hydraulic main, it carries with it a considerable quantity of water vapour and some tar in addition to its other impurities. Before being cooled, the gas passes through the exhausters, which give to it sufficient pressure to enable it to continue its journey, and from the outlet of the exhausters it passes directly to the condensers. Modern gas condensers are steel structures containing a number of steel partitions which divide the condensers up into numerous compartments. Cold water flows through some compartments and gas through adjacent ones, so that each steel partition receives heat from the gas on one surface and passes it through to the cold water which flows past its < opposite surface. Fresh cold water enters at the end of the condensers from which the gas leaves, and the heated water, which is still cooler than the incoming gas leaves form the end at which the hot gas enters. This principle of counter current flow which we meet in the condensers is utilised also in the ammonia extraction and naphthalene extraction plants which come later in the story. 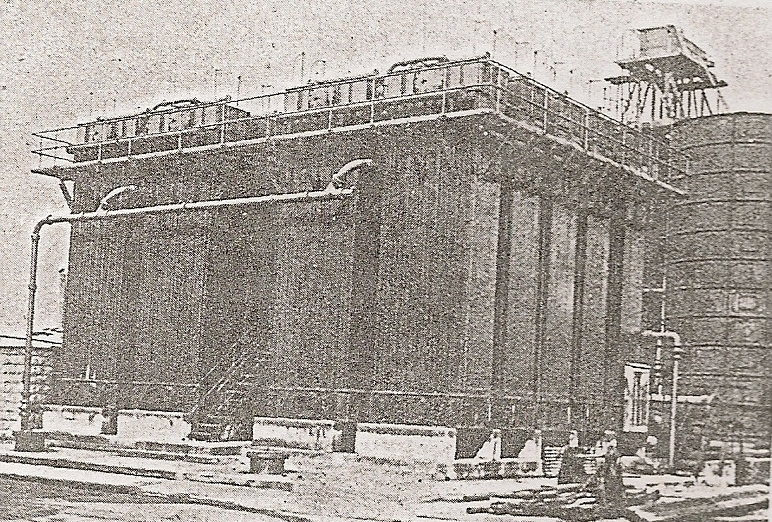 When water-cooled condensers were first employed, the rapid cooling of the gas caused solid constituents of the tar to form into compact masses which, from time to time, blocked the gas passages and made necessary, the very unpleasant task of cleaning out by hand. The Carpenter condensers used by the Company have for many years been freed from this trouble by the simple expedient of washing the gas cooling surfaces with a gentle stream of tar in which these solid obstructions are readily soluble. The process of condensation cools the gas down to atmospheric temperature and causes the deposition of nearly all the water carried and of most of the remaining tar. As the gas contains considerable quantities of ammonia, the water condensed from the gas also contains ammonia, and this condensate, together with that from the hydraulic main, is known as virgin liquor to distinguish it from the liquor made by washing the gas with fresh water. in the top surface of this head punch a very large number of small, holes until it resembles a well-used pin-cushion. Now invert the mushroom in a tank of water and blow gas down through the stalk. The result will be foam of very fine bubbles of gas similar to those which, when this principle is applied in a Livesey washer, rid the gas of the last traces of tar. 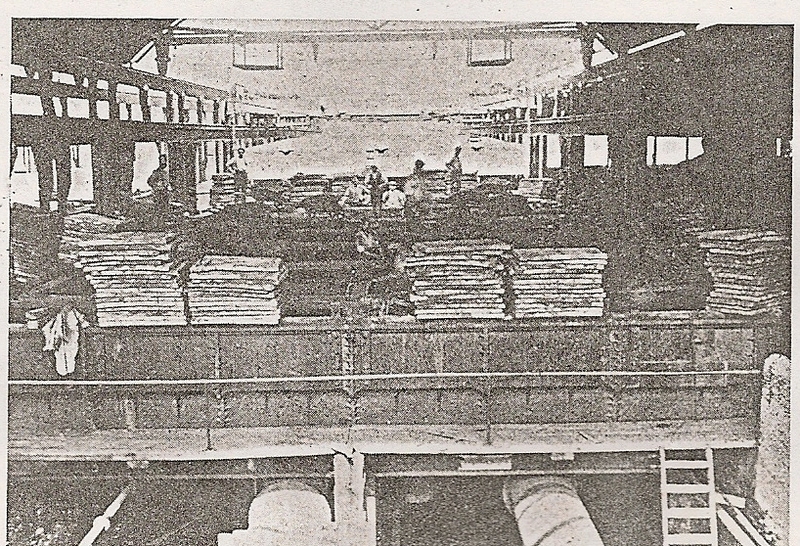 From the Livesey washers the gas passes to the scrubbers,where tall-cylindrical towers packed with thin wooden boards stand on edge. Into the top (words missing) be kept down to the minimum quantity necessary for complete ammonia extraction, it has to be evenly spread over the top of the Scrubber packing. To do this” use is made of the ingeniously simple “Barker’s mill”. This consists of a length of pipe closed at each end and pivoted in the’ middle so that it’ may rotate horizontally. On one side of the ‘pivot, holes are drilled in the pipe looking in one direction, while on the other side of the pivot similar holes look in the opposite direction. When water is admitted to the pipe, fine jets of water shoot out from these holes. Those who have used a fire hose will realise the force with which a jet of water pushes back on the hole from which it issues. It is this force exerted upon the pivoted pipe that causes it to rotate while the water sprays from it. Mirrors fixed to the mill on the top of the scrubber tell the plant attendant that all is well with the spreader. By the time that the water has reached the bottom of the scrubber it has become weak ammoniacal liquor. It is then pumped to the top of a second scrubber where it extracts more ammonia from gas which has just left the Livesey washers. (words missing) to its final strength. We may now leave the tar and liquor to the tar busters or tar and liquor plant attendants and, having seen the tar safely sent off to Ordnance Wharf and the liquor to Phoenix Wharf, we will follow the gas to the oxide purifiers. On entering these the gas contains about one per cent by volume of hydrogen sulphide, one-eighth of one per cent of prussic acid gas, and one-thirtieth of one per cent of carbon bisulphide. Hydrogen sulphide is a gas which is famous for justifying the schoolboys’ name of “stinks” as applied to the science of chemistry. Both it and the other two impurities are highly poisonous. The sulphur compounds when burned give rise to sulphur dioxide which is, if breathed, extremely irritating to the lining of the throat and nose, and would rapidly destroy metalwork, curtains and, book bindings if this impure gas were burned in the home. The oxide purifiers are rectangular boxes of cast iron or reinforced concrete about 4 or 5 feet deep. Hardwood grids are used, to support the oxide of iron which absorbs the impurities; they are generally arranged so as to give three separate layers of oxide one above another in each box. 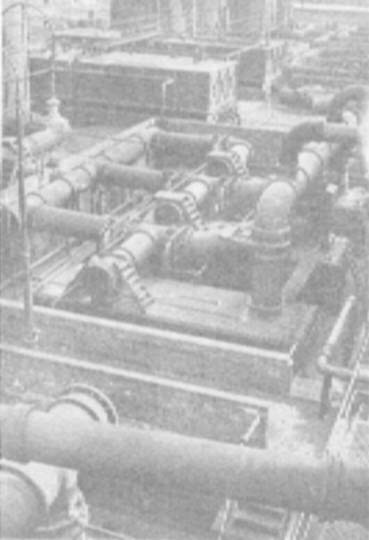 Four such boxes form a stream of primary purifiers and, by a suitable arrangement of valves, gas may be passed first into anyone of the four and then, in succession, through the other three. The iron oxide used comes from two sources. Some of it is a natural peat-like deposit found underlying grassland in Holland, and the remainder is a by- product from the refining of bauxite (from which mineral aluminium is produced). At the Products Works matter is put in its right place, and the sulphur which was an impurity in the gas is converted to use as sulphuric acid. Some of this acid is caused to combine with the ammonia which reached Phoenix Wharf as liquor, the combination of these two impurities producing the valuable fertiliser Metro Sulphate. While some of the iron oxide has been engaged in arresting, hydrogen sulphide, other portions have done battle with prussic acid gas, and, by an interesting series of chemical changes, have converted it to Prussian, blue-the product which fills the wash-day blue bag. The majority of gas companies do not trouble to remove carbon bisulphide, but the Company has shown how, by the co-operation of engineer and chemist, a process for the removal of this objectionable compound can be made a practical proposition. Sulphur in this form is not readily absorbed by any suitable reagent. If, however, gas free from hydrogen sulphide is heated, in the presence of nickel, the carbon bisulphide is converted to hydrogen sulphide; and this can then be removed by a second (words missing) but to carry it through cheaply, efficiently and without interruption for every hour of every day has provided problems requiring much careful thought and experiment for their solution. On leaving the secondary purifiers the gas contains no tar, less than one forty-thousandth part of carbon bisulphide, and immeasurably small traces of other impurities, but it still is not pure enough to send on to the District. Mention has been made of the solid substances in the tar which used to block early types of condensers. There is one of these substances, naphthalene, which passes right through the purification system and is found in small quantities even at the outlet of the secondary purifiers. 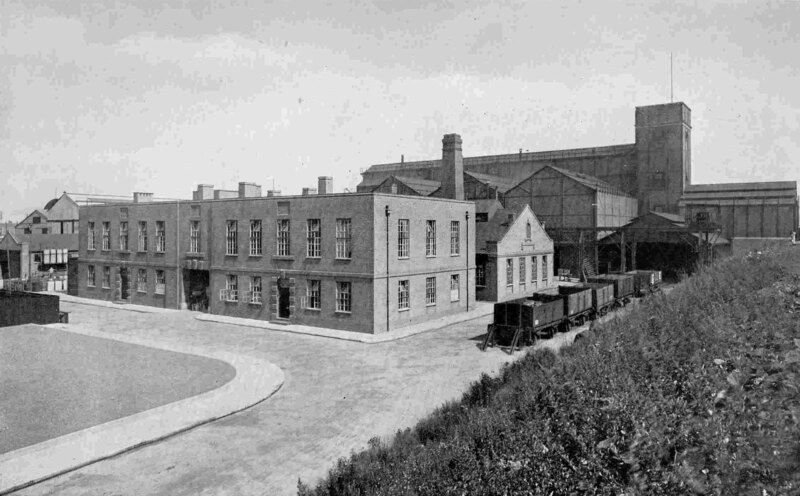 Along with other gas works belonging to South Met. Gas Co. East Greenwich had a social and sports club ‘The Institute’ for the workforce. 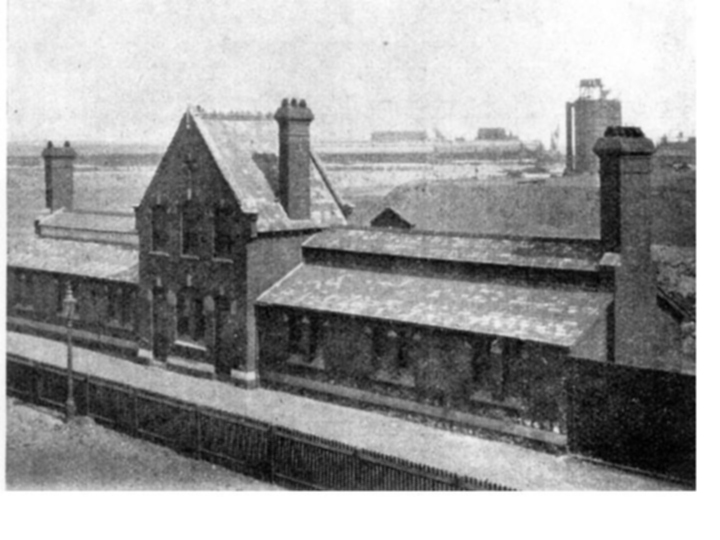 Here one of the managers, Mr. Manwaring, writes about the opening of a new building and reminisces on the building of the works in the 1880s. NOW that we are nearing the completion of our handsome and commodious institute it may be interesting to recall the fact that the East Greenwich Station was probably one of the first to possess one: On my transfer from West.Greenwich, nearly twenty-five years ago, I found a fully-fledged Club in existence, called the ‘George Livesey Institute,’ and worked by a band of energetic men, not many of whom are with us to-day. Our land at East Greenwich was, in those days, the happy dumping-ground for gipsies, and our two policemen had their energies severely taxed impounding the straying cattle. Mr. T’ysoe used to be in a constant state of warfare, trying to protect the company’s property, and on one occasion he was holding a heated argument as to the right of meum et tuum, when one of the gipsiesn who was armed with a. heavy bar of iron, raised it to strike, and, but for the presence of mind of one of our men in seizing the bar, Mr. Tysoe would in all probability have failed to take any further interest in the proceedings. What changes have taken place during these years. Then we had not commenced to make gas; No. 1 retort house was being built, and not a ton of coal had been shot for gas-making purposes; now we carbonise in the winter 14,000 tons per week. Then we employed 77 men; now over 1,400. At first the wages paid were under £100 per week; now they are over £2,600. These figures, coupled with the fact that the other stations have not fallen off in consequence of our increase, show conclusively what gigantic strides our company has made in the make and sale of gas. May I take this opportunity of urging all who are working at this station to join heartily in making our new Institute one of the most successful, and thus show our appreciation of the kindness of our Directors in giving us a place where we can focus the activities of our various clubs, and enjoy, we hope, many happy evenings of healthy recreation and amusement. 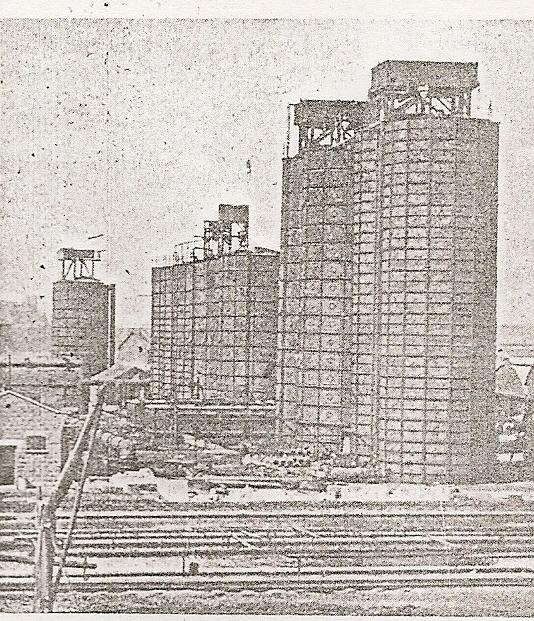 The Lennard still was pioneered by a Forbes Abbott chemical works on the Peninsula and later built at the gas works Ordnance wharf site. Below are reports from two works on tar distillation. The first page is from W.G.Adam, History and Practice of Tar Distillation Industry. The other pages are from an unknown source. 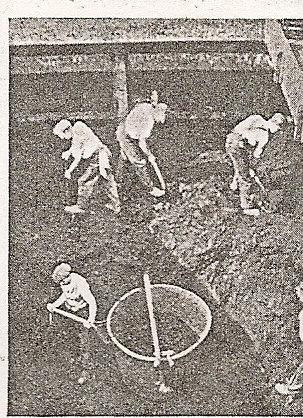 The Ordnance Wharf still was uncovered in the 1970s and attempts were made to record its remains and maybe to run it. The date of this information is not given – probably 1960s. It represents the very last of the trading fleets with most barges in preserved and private ownership. These are the Greenwich built barges listed. Barge owner – Augustus Hills, Annandale House, Greenwich. Flag White H on blue flag. White H in topsail. Surge of London. Built East Greenwich 1904 54 tons A note says she has been sold for conversion to a yacht. Ernest Piper of London. Built 1898 65 tons. A note says that she was sold for conversion to a yacht in early 1950 and had been taken to Portsmouth.